Orange juice is made from unfermented fresh oranges and provides many benefits for the body. Fresh orange juice is the richest source of vitamin C and fulfills an entire day’s worth of vitamin C in just one serving. Chock full of useful minerals like potassium and magnesium, orange juice is also very low in fat and contains no cholesterol whatsoever. Provide Vitamin C. Vitamin C cannot be synthesized by the human body so we must ingest it in our food and drink. Drinking two glasses of orange juice each day can increase the Vitamin C concentration in your body by 40 to 64 percent. The vitamin C we get from orange juice protects our bodies from the harmful effects of free radicals that cause early aging, and aids in the absorption of essential minerals like calcium. Reduce Inflammation. Eating meals with a lot of fat or glucose can lead to the development of inflammatory reactions. Inflammatory reactions lead to the resistance of insulin, which is a common cause of type II diabetes and atherosclerosis. Atherosclerosis is a very serious condition where the blood vessel walls harden due to fatty deposits. Drinking orange juice when ingesting a high-carbohydrate and high-fat meal will prevent the occurrence of this inflammation, making it a good preventative measure against insulin resistance and atherosclerosis. Balance Blood Pressure. You can improve your diastolic blood pressure by adding a glass of orange juice into your diet. Studies have found that orange juice contains hesperidin, a very healthy, water-soluble plant pigment. It improves the activity of small blood vessels bringing your overall blood pressure into balance and helping to decrease cardiovascular risks. Lower Bad Cholesterol. 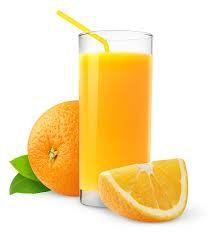 Drinking orange juice regularly is thought to decrease levels of low-density lipoprotein, or LDL, cholesterol. LDL cholesterol is commonly known as the “bad” cholesterol and it collects in your arteries and blood vessels, causing heart problems, cardiovascular issues, and problems with healthy blood and blood oxygen flow. The mechanism in drinking orange juice that is behind the improvement in LDL cholesterol levels is still unknown. More studies and clinical trials will need to be performed in order to hammer this out as concrete fact. Promote Skin Condition. Drinking orange juice is said to bring a radiant glow to your skin and provide other skin benefits as well. Drinking this juice will help to hydrate skin and keep it firm. Using this juice as a topical treatment does wonders for the skin as well. It cleans out and tightens clogged pores and is believed to prevent wrinkles and fine lines. Orange juice is also a great natural remedy for treating sunburns. Prevent Neural Tube Defects. Folate deficiency is one of the main causes of low birth weight and neural tube defects, which are congenital problems in the brain and spinal cord. It also one of the most preventable causes of these birth defects. Drinking ⅓ cup of orange juice each day provides 40 mcg of folates to expectant mothers. Folates are important micronutrients that are known to prevent a wide variety of birth defects. The ⅓ cup serving mentioned provides 10% of the recommended daily value of folates. Produce Collagen. Vitamin C is the key ingredient for healthy production of collagen, which is the structural component of bones, tendons, ligaments and blood vessels. When the body is deficient in vitamin C it can lead to scurvy, a disease characterized by bruising, bleeding, tooth loss and immense joint pain. In order to prevent occurrences of scurvy it is recommended for an adult to take in at least 90 mg of vitamin C each day. Those who smoke may need to take in as much as 125 mg per day. Taking in these amounts should be easy as one 6 oz. glass of orange can provide up to 93 mg of vitamin C.
Other Benefits. The Vitamin B6 found in orange juice aids in the production of hemoglobin. Beta carotene from orange juice can help prevent cell damage. Orange juice has quite a bit of calcium in it, too. This helps promote bone health and strengthen teeth. Folic acids in orange juice help boost brain, spinal cord and neural system health. It has also been found that orange juice is highly beneficial to weight loss. Drinking orange juice can provide you with many health benefits as it contains a variety of vitamins and minerals. The following table provides nutrition facts for a 1 cup serving frozen, concentrated orange juice that has been diluted with water. Nutrition information will reflect differently if you are using freshly squeezed orange juice, or orange juice from the refrigerated section at the grocery store.